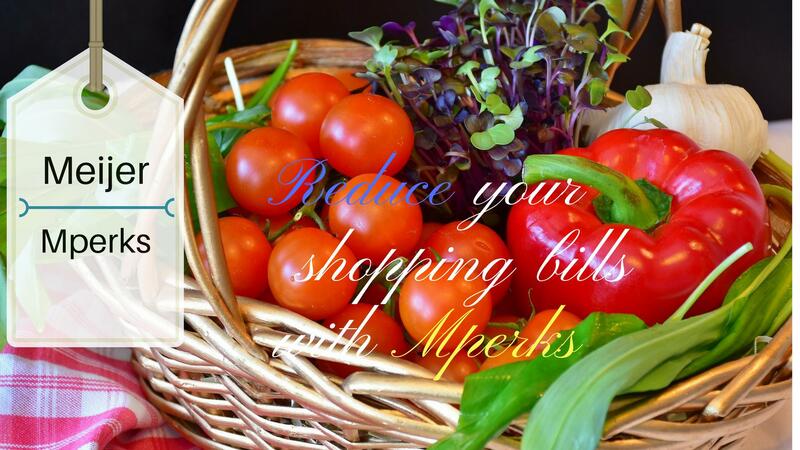 How to save money and reduce shopping bills with Meijer Mperks ? Meijer perks is a reward program which saves your money by giving you reward on every purchase that you do through Mperks. You can also earn rewards on filling the prescription and using Meijer Perks Credit Card. These rewards are given to you on the purchase of regular use items. So you don’t’ have to compromise with your shopping list. They also provide access to the digital coupon which you can use for future purchases. There is no charge for registration it is completely free. Click on tab Create Account and supply the requested details. Once you confirm your sign up your account will get activated. You can also download their Meijer Mobile app to access the account. Please ensure while registering the account they ask you to provide mobile number and pin. This two information you ne8ed to enter everytime you check out along with mperks ID. Not only on the desktop but you can also access their app on IOS and Android. If you use App it will make your shopping easier the manual selection of rewards is an automatic system in App. You just need to put your Mperks ID and pin and coupon will automatically apply. And accessing digital coupon is also far better in App as compared to the desktop version. It is one of the popular ways to save money where you get 2% or more back in rewards on qualifying purchases. Shop and enter your Mperks ID before check out and track your progress to get rewarded. And this reward earnings can be used for future purchases. This type of rewards you can earn on regular stuff like Groceries and household products. E.g If you spend $200 on Vegetables and fruits you will get $5 as a reward. No separate registration required to enroll in Pharmacy reward program it is self-enrolled once your account is active. Every time you fill a prescription you get a reward. When you will fill five you will earn a reward as $10 off on your next shopping trip. Mperks offers you Master card or credit cards to rewards digitally. Just clip your available credit card reward and redeem it on your next shopping trip. Mperks provide lots of exclusive offers under which good rewards are given to the customers. Special savings like 10% off general merchandise, $5 off a $50 Purchase. these offers keep changing and the best way to get easy rewards. With Mperks you can now clip your coupons with order directly. Websites track your shopping behavior and on basis of that, they would offer you the coupons. It completely optional if you want you can choose or you can deny accepting the coupon. Clip as many as you want. They will be stored in your Mperks account which you can use later. While checking out enter your Mperks ID and pin and clipped coupon redeem automatically once they match with the purchased item. This is one of the best features of this reward program where you can have control over your spending by tracking the item through digital receipts. You can compare your purchases with last months to current. It also helps you to figure out in which area your spendings are increasing and what are the important stuffs that you are missing. This type of analysis is not possible with physical receipts. As it is difficult to store physical receipt for a longer period. Whereas digital ones can be saved in cell phone over the long period of time. Savings can also track total savings by month or year. This one is also a cool feature of Mperks here you can search reward coupons through product bar code. You just need to scan the barcode of a product and all rewards related to that product will appear in your mobile. Usually, most of the rewards they offer related to the items you are searching for bought previously. But with this technique you can even get the details of those rewards which you have not received in your account. You can create your desired shoppinng list both in webiste and App. If you need a hard copy print option is also available. Meijer Mperks is a reputed online reward program company which provides Personal, Pharmacy and Meijer credit card rewards with digital coupons. This is great program for frugal shopper to save money in almost all kindg of shopping. This also helps us to keep the track on our shopping and budget. We can also track our savings that how mcuh we have saved through Mperks. Add this reward program in your list and save money on your shoppings.